The index opened up above the psychological level of 8600 and after making a high within the first hour of trade saw huge profit booking to close near the lows at 8555.90, loss of 32.35 points. The broader market was also weak, with 549 advances to 988 declines. Tentative Range at the start of series comes to 8300-8800. Call option 8600-9000 added huge 18.49 lacs OI with short covering seen at 8500 and below strike prices. Put option 8700-8200 added huge 16.26 lacs OI with profit booking seen at 8100 strike price. 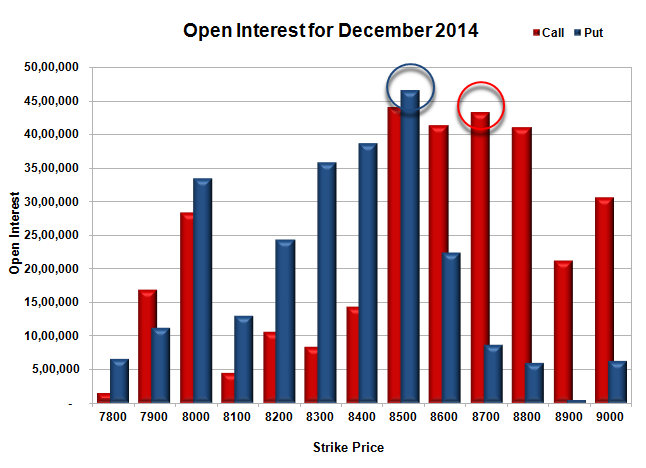 Nifty Open Interest is at 2,19,46,850 down by 2,69,575, with decrease in price, probably huge long liquidation. Bank Nifty Open Interest is at 17,48,100 up by 8,975, with small increase in price, probably long build-up. FII’s sold 3.58 lacs Futures, which includes 6900 contracts long liquidation and 7434 contracts short build-up, with increase in net OI by 534 contracts (includes 83915 longs to 98249 shorts for the day) and the Average Price comes to 8719.76. FII’s Index future open contract as on date is 723320 Longs to 57722 Shorts, net long 665598 down by 14334 contracts. Initial and best support at 8500, with OI of 46.55 lacs and below that at 8400 with OI of 38.66 lacs. 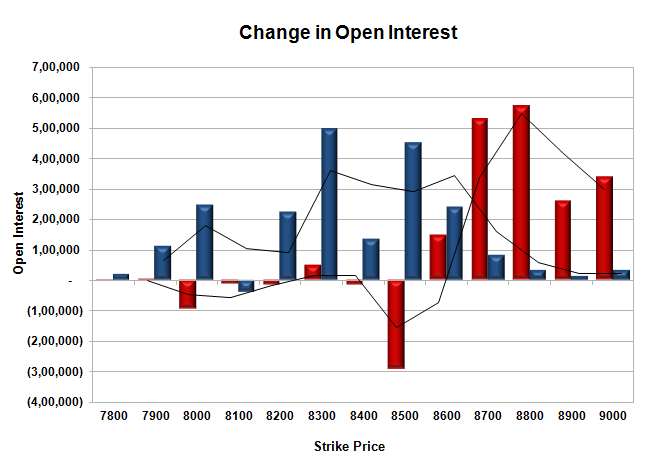 Initial resistance at 8600, with OI of 41.37 lacs and above that at 8700 with OI of 43.23 lacs. 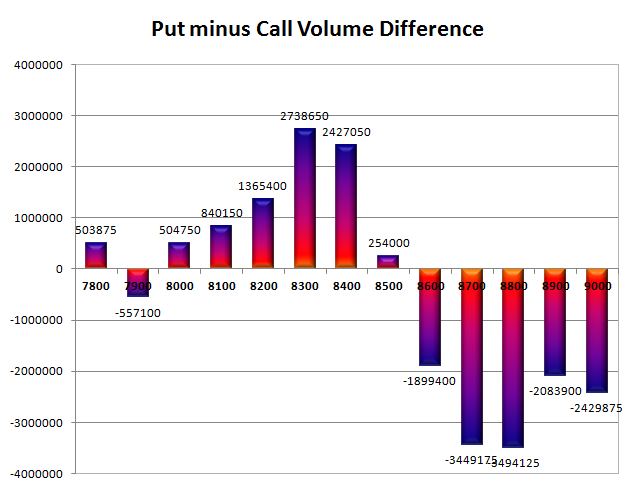 Day Range as per Option Table is 8511 - 8627 and as per VIX is 8497 - 8615 with 8575 as the Pivot.